Is the twitter-account an unrealistic future visions? Impossible to make? Or is it just much work but after that we have a twitter-account that fluently uses the english syntax and semantics and an airplane that never crashes? Or has it something to do with evolution? 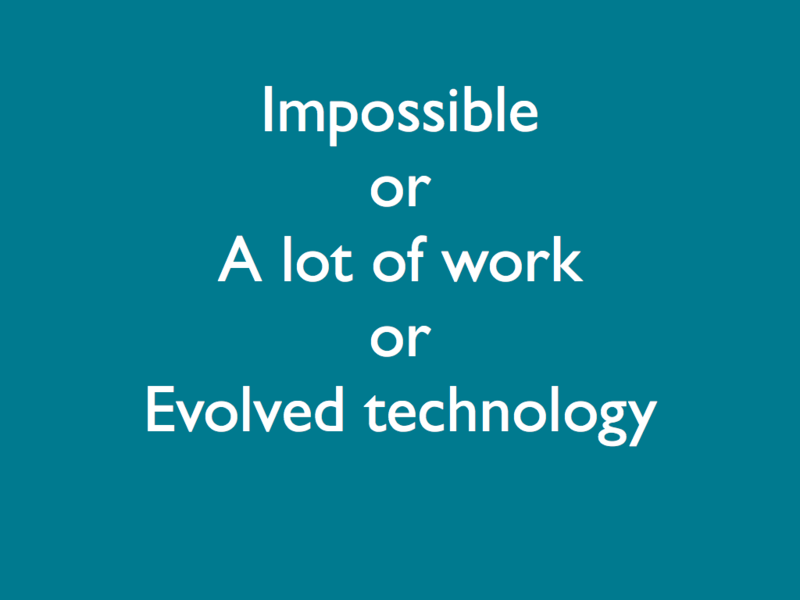 Because I don’t believe in impossibilities and I don’t like ‘a lot of work’ we are going to look into Evolved technology.